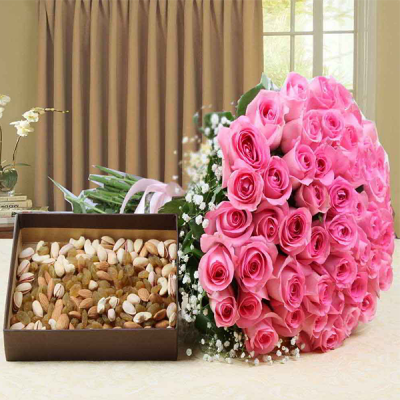 Are you unable to choose a gift for your health conscious relatives, or non-chocolate loving friends? 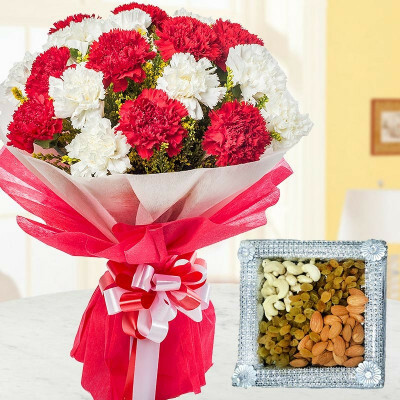 We have a combo for that too. 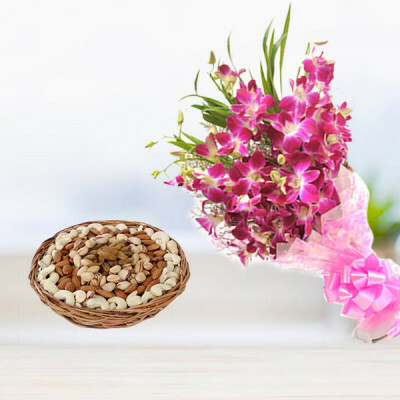 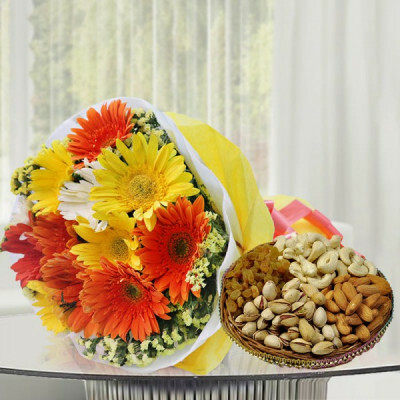 Send one of these Flowers n Dry Fruits combos online with MyFlowerApp, to your loved ones anywhere in India. 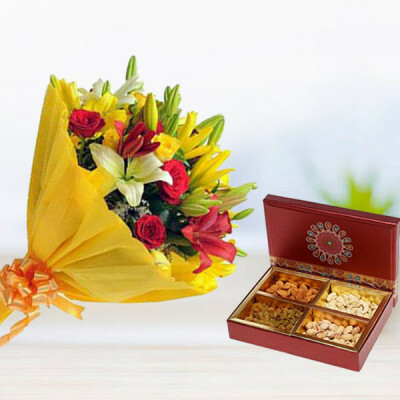 Celebrate the day and send your gifts without compromising with their health with our expansive range of combos. 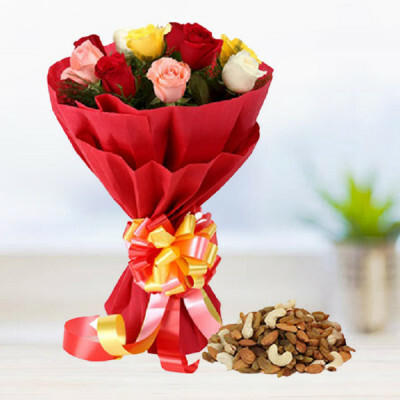 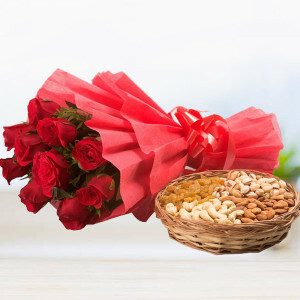 10 Mix roses in red paper packing with 500gm dry fruits. - 10 mix roses in red paper packing. 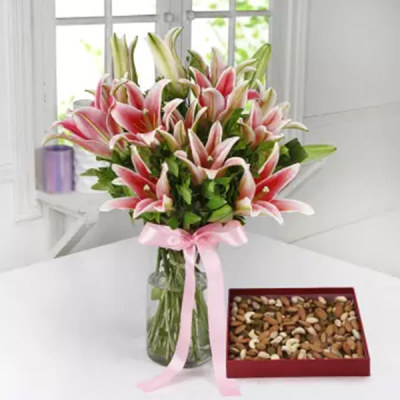 4 Stems Pink Oriental Lily and 500 gm Mixed Dry Fruits. 6 Red Gerbera with Half Kg Dry fruits. 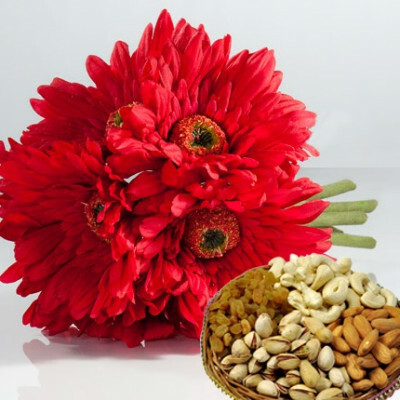 - 6 red gerberas bunch. 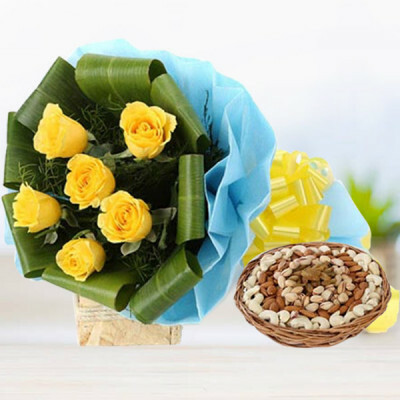 15 Yellow roses in blue paper packing and half kg of dry fruits. 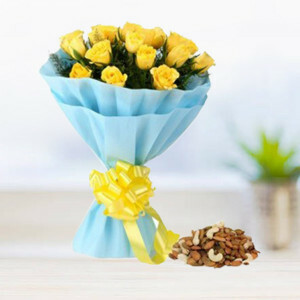 - 15 yellow roses in blue paper packing. 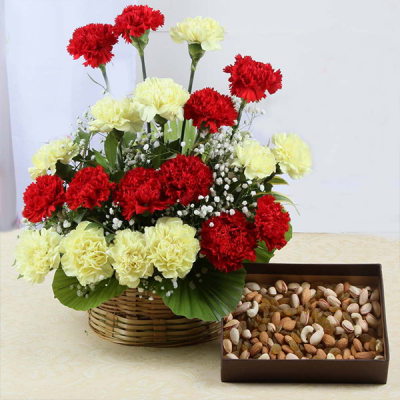 20 Mix Red and Yellow Carnations arranged in a Basket Arrangement along with 500 Gm Assorted Dry Fruits. - 500 Gm Assorted Dry Fruits. 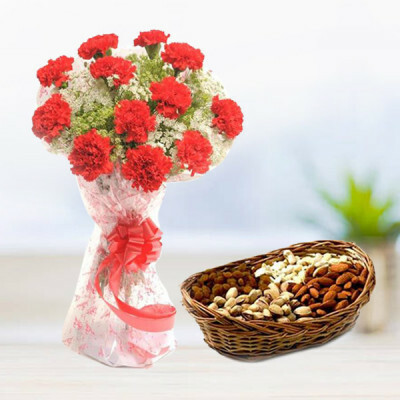 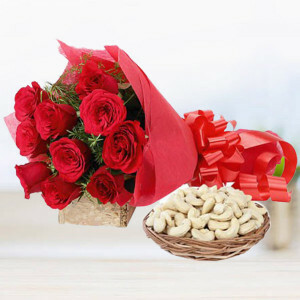 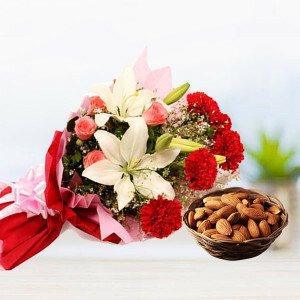 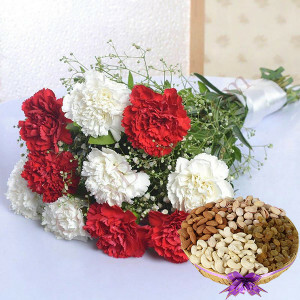 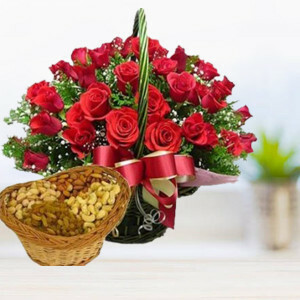 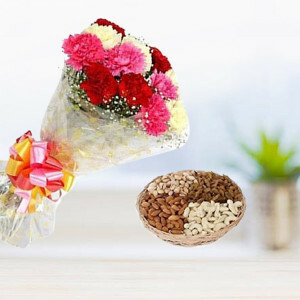 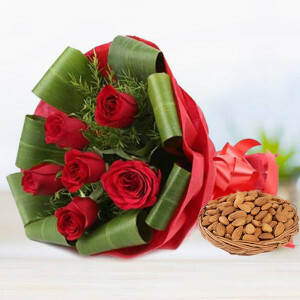 Bunch of 10 Red carnations with half kg dry fruits.